Tata Sons Limited issued a nine-page long letter on 10 November, accusing former chairman Cyrus Mistry of betraying the firm's trust and seeking to control the main operating firms of the Tata Group. The conglomerate alleged that Mistry's strategy of being the only representative was "planned systematically and achieved over the last four years". "Mistry betrayed trust and had the desire to seek control of the main operating firms of the Tata Group, excluding other representatives," the holding arm of the $103-billion empire said. We have received emails and calls from many across the globe since the board of Tata Sons decided to change its Chairman. Some have shared concerns following the decision, while many have asked questions about the future course of the group and its companies and operations. We understand and appreciate that a period of change like this can lead to a sense of uncertainty and would like to put forward some facts so that the decision is seen in the desired perspective. a) Mr. Cyrus P. Mistry has been the Executive Vice Chairman (for one year) and Executive Chairman for nearly four years now - a period long enough to show results in Tata Sons itself, which was his primary executive responsibility. b) For assessing the results during his tenure, it would indeed be appropriate to exclude the income (i.e. dividend) from Tata Consultancy Services (TCS) because Mr. Mistry does not really contribute materially to TCS's management and TCS has needed no funds from Tata Sons for its growth. In this way, it will be seen what Tata Sons has been getting from all the other 40 companies (listed and unlisted) in its portfolio. 16 but the latter figure includes additional interim dividend of ₹100 crores which would have been normally received in 2016-17 (due to budgetary changes). This surely reflects the decline in the total profits of those operating companies from which dividends are paid, during the last four years. ₹220 crores in 2012-13 to ₹290 crores in 2015 (excluding exceptional expenses). e) There was little or no profit on sale of investments during these years, i.e. no significant divestments from Tata Sons' portfolio, despite a planned list of divestments indicated from time to time. f) Impairment provisions increased from ₹200 crores in 2012-13 to ₹2,400 crores in 2015-16 indicating inability to stem falling values and turn around the 'hot spots' referred to by Mr. Mistry. g) Thus, but for the TCS dividend and even before impairment provisions, Tata Sons would have shown operating losses over the last 3 years (with a small surplus in between), showing the significant dependence on TCS. This dependence was indeed a source of concern for the Directors and its shareholders. It is also relevant to refer to the basis of selection of Mr. Mistry as Chairman in 2011 by the Selection Committee as provided under the Company's Articles. Without going into the details, the Committee's original objective was to look for a person with the experience of running large (and preferably diverse) businesses with considerable international exposure and other criteria. During the meetings, Mr. Mistry made many relevant comments and submitted a detailed note in October 2010 setting out his views on how a large and complex group like Tatas should be managed and gave a comprehensive management structure with details of the composition and objectives of each component of the structure. This fitted with the views of the Committee and having failed to find an alternative candidate, the Committee decided to recommend Mr. Mistry partly because of his recorded views and plans and also his association with the group. After four years, it is unfortunate that hardly any of his major views on the management structure (which had impressed the Committee favorably) have been implemented. In fact, even the then existing structure of the group which had stood the test of a long period of nearly 100 years by the visionary founders and generations of Tatas seem to have been consciously dismantled so that now the operating companies are drifting farther away from the promoter company and their major shareholder (except for periodic presentations) through systematically reducing the effective control and influence of the promoter. Tata Sons has historically exercised control over its group companies through its shareholding and commonality of senior Directors (apart from the Chairman) which had acted as a binding force in the group for many years and which has enhanced the credibility and creditworthiness of the group companies. We now have an unacceptable new structure where the Chairman alone is the only common Director across several companies and this situation could not be allowed to go on. In addition, there were some significant issues of conflict of interest in relation to the Shapoorji Pallonji Group which he did not fully address. Unlike in the past, Mr. Mistry constantly used the strong public relations network of Tata to emphasize the supposedly good work being done by and under the new leadership and particularly and repeatedly highlighting the major problem areas in the group inherited by him (commonly referred to by him as 'legacy' issues and 'hot spots') from the previous Chairman, to account for any perceived lack of his performance. The articles and interviews are littered with text-bookish directives and objectives, e.g. 'growth with profits', 'target to be among the top 25 groups in the world' by market capitalization, 'cater to the lives of many millions' and other such nice-sounding phrases with no indications on how these ambitious targets are to be achieved. Is all this relevant when there are so many major problems which need urgent attention and action? Would it not be more appreciated if the reports talked specifically on these problem issues and their solutions rather than continuously harping on the past versus the present? Nobody will deny that there were some problem companies but surely Mr. Mistry was fully aware of them since he was associated with the parent company, Tata Sons Limited, as a Director on the Board for many years prior to his appointment as Executive Vice Chairman in 2011 and then as Executive Chairman in 2012. He voluntarily took this position, knowing the composition of the Tata group and its many strong companies as well as the weaker and problem companies - which he presumably took on as a challenge for 'turning around' those difficult situations. Yet, after four years of full-time involvement and executive authority, we continue to be told how these 'legacy' problem areas are a major drag on Mr. Mistry's otherwise good performance. How many more years would we be told this same story? The three major problem companies are Tata Steel Europe, Tata Teleservices/Docomo and the Indian operations of Tata Motors. The fact is that even after four years, there is no noticeable improvement in the operations of these companies and in fact they have got worse as shown by continuing huge losses, increasing high debt levels and declining share in their respective markets. There are a few other companies which are also having different problems - and are these also to be excused as 'legacy' issues? Even with no turn-around in these major problem areas, the only action taken was to write-off huge amounts against these companies - which is no solution because the problem companies continue to exist with their continuing losses and high debt and only the shareholders suffer from these write-offs. The media is fed with the total group figures over the past four years as evidence of the progress but it is not highlighted that these aggregate figures which show a good picture are largely (if not only) due to the excellent performance on all parameters of just two companies, namely, TCS and Jaguar Land Rover (JLR) which is a wholly-owned U.K. subsidiary of Tata Motors. There is no complaint about these good legacies! These two jewels in the Tata crown were also inherited by the new Chairman from the previous Chairman, Mr. R. N. Tata, who was also responsible for the acquisition of JLR by Tata Motors in 2008-09 and personally worked with the then management of Tata Motors to turn JLR around. These two companies probably account for around 50% of the total turnover and probably over 90% of the total profits of the whole group and have been performing successfully continuously over the past many years, for which Mr. Mistry cannot take credit. It is evident that the group under Mr. Mistry's leadership was intolerant to critical reports about the actions taken under his aegis. Over the past four years, only a very few such partially negative reports have appeared in some parts of the media - the most recent one being by the highly respected 'Economist' magazine of the U.K., which was really a well-balanced and critical review of the Tata group's performance in recent years and which was reproduced by another respected Indian daily. Even this report was vociferously refuted in the strongest terms by the PR machinery of Tatas as being biased and incorrect. In short, those who analyze the overall position of the group in an unbiased and professional way which may differ from the version put out by Bombay House (the Tata headquarters) are uniformly wrong, even if they only seek to present an overall balanced picture which may (and rightly should) include the negative aspects. This attitude does not befit an old and venerable house like Tatas known for their fair play and transparency. Insiders in Bombay House who have been with the group for many years silently and helplessly watched the conscious departure from old, proven and successful structures within the group and the induction of very senior executives from outside the group with little or no experience of running large companies and being paid amounts reportedly running to several crores for purely functional positions at the very top. Some changes always accompany a change at the top and some may even be considered necessary but the ultimate test is whether these changes have shown improvement and success - which is not visible even after four long years. The stellar performance of TCS and JLR have more than compensated for the drop in returns in the other operating companies under Mr. Mistry's tenure. Some strategic initiatives have been articulated repeatedly but the implementation is too slow to show results. Such of these initiatives which are good and worthwhile need to be pursued more vigorously by the companies concerned. From a recent, well-articulated interview with Mr. Mistry published on the Tata group website, one cannot help but feel that there is a very selective reference only to achievements and in the interest of transparency and balance, one feels compelled to highlight some of the areas which emerged over the last four years, which have not been mentioned at all. Group indebtedness has increased by ₹69,877 crores to ₹225,740 crores over the last four years. Despite huge investments by companies, the returns are not visible in increased profits, though, in all fairness, some major growth projects like the new steel plant at Kalinganagar will show results only in coming years. There has been a perilous drop in market share in both passenger cars and commercial vehicle areas over the past three years. In passenger cars, in the year ended March 2013, the market share was 13% which now stands at 5%! It will be difficult if not impossible to retrieve the market share losses. However, even more concerning, is the market share in commercial vehicles which in March 2013 stood at 60% and now stands at 40+% - the lowest in the company's history as the market leader in commercial vehicles. The two passenger car launches of good products like Bolt and Zest introduced as turnaround products for the company have both been lacklustre in market acceptance - achieving current sales levels more or less equal to those of the Indica and Indigo which are around 15-year-old vehicles. The third launch of Tiago has been well received in the market but its sustained steady state volumes are yet to be determined. These details are masked by the performance and profitability of JLR as most references to Tata Motors are in consolidated form. During the past three years, the group has written down, written off or made provisions for impairment worth thousands of crores. Tata Steel alone has written off a large part of its investment in its UK/European assets. It is interesting to note that the new buyers of some of the steel assets for £1 in the U.K. have claimed a dramatic turnaround in the very first year of their take-over. In our view, these sub-par results cannot be blamed on the commodity cycle or economic conditions - but on his leadership. Mr. Mistry repeatedly talks of 'bad' acquisitions, but he forgets that his own firm had acquired South India Viscose Limited and Special Steels Limited many years ago from which they walked away, while Tatas always stand by their companies in difficulties. Critical reports have been received of the handling of the Tata Steel Europe problems in the U.K. and the negotiations with Docomo of Japan in the respective countries. a) The accusation of interference by the Trusts is not only wrong in reality but has been twisted to mislead people. One of the important duties and obligations of the Trusts and the Trustees is to protect the assets of the Trusts, the most important and valuable being investments in Tata Sons donated by the founders and their successors many decades ago and which is a major source of the income of the Trusts. It is only to fulfil this duty that information relating to the operations of Tata Sons which is an unlisted investment holding company need to be kept track of. The continuous decline in the income of Tata Sons from its large portfolio of investments other than TCS during the last four years of Mr. Mistry's regime (as elaborated above), reflected the corresponding decline in the many operating companies in which Tata Sons holds a significant shareholding. It also reflects a disturbing over-dependence on one single company, i.e. TCS, over a long period of four years. This was not only disturbing but needed corrective action in the management of Tata Sons. In fact, many practical suggestions made to Mr. Mistry for the benefit of Tata Sons vis-à-vis some of its major investments have often been ignored. b) Mr. Mistry conveniently forgets that he was appointed as the Chairman of the Tata operating companies by virtue of and following his position as the Chairman of Tata Sons. Therefore, it was fair expectation of Tata Sons that Mr. Mistry would gracefully resign from the boards of other Tata companies on being replaced from the position of the Chairman of Tata Sons. This expectation was in line with convention, past practice as well as the Tata governance Guidelines that were approved and adopted by Tata Sons under the aegis of Mr. Mistry. However, his departure from these requirements and conduct since his replacement as Chairman of Tata Sons demonstrates his absolute disregard of longstanding Tata traditions, values and ethos. c) The recent development in the Indian Hotels Co. Ltd. (IHCL) now seems to reveal the true colours of Mr. Mistry and his ulterior objective. Having been replaced as the Chairman of Tata Sons, where the majority of the Board and the major shareholders had expressed lack of confidence, Mr. Mistry is trying to gain control of IHCL with the support of the Independent Directors of the Board. He has cleverly ensured over these years that he would be the only Tata Sons representative on the Board of IHCL in order to frustrate Tata Sons' ability to exercise influence and control on IHCL. In hindsight, the trust reposed by Tata Sons in Mr. Mistry by appointing him as the Chairman four years ago has been betrayed by his desire to seek to control main operating companies of the Tata group to the exclusion of Tata Sons and other Tata representatives. Indeed, this strategy of being the only Tata Sons' representative on the Boards of the operating Tata companies, seems to have been a clever strategy planned and systematically achieved over the last four years. It is unfortunate that Tata Sons, acting in good faith, did not anticipate such devious moves by Mr. Mistry and thereby did not inform the other Directors of the operating companies about its dissatisfaction with Mr. Mistry at the level of Tata Sons. However, we will now do whatever is required to deal with this situation. Mr. Mistry has been consistently indicating that companies have performed well during his four-year term but the figure quoted by him always refers to the total of the group companies including TCS and JLR which account for over 90% of the group's profits. Since he hardly contributed to the management of these two companies, it would be more important and relevant to look at the totals of the rest of the group which will show that while there has been an increase in turnover, the more telling figures are the facts that the profits of the rest of the group in fact declined materially during his four-year tenure and equally importantly the total borrowings of the group increased from 155,863 crores in March 2012 to 225,740 crores in March 2016. He continuously talks of the bad legacy issues but never mentions the two top performers of the group, viz. TCS and JLR, which were given to him when they were showing excellent results and which helped to cover up the deficiencies of the rest of the group. 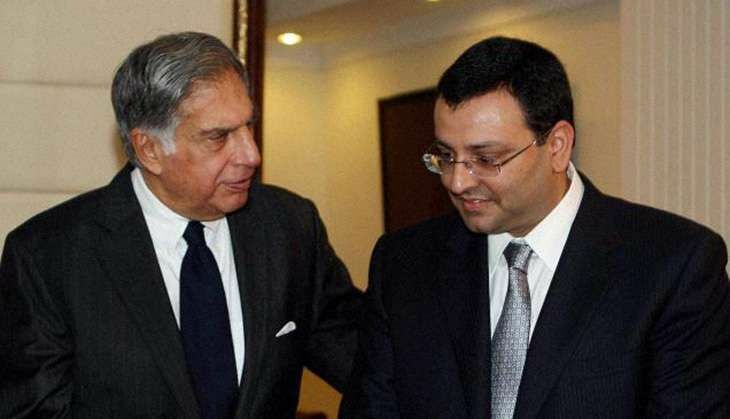 In our capacity as the main promoter of the major listed Tata companies and as the largest shareholding group, we have to express our very serious concern on the personal email dated October 25, 2016, from Mr. Mistry, addressed to the Directors of Tata Sons and purportedly to the Trustees of the Tata Trusts and which simultaneously appeared in full in various newspapers. a) Has Mr. Mistry, the Chairman, informed the Boards of these companies at any time in the past specifically of the above mentioned potential write-downs? If so, when was this done and why was it not made public as this is clearly a major item of information - apart from disclosing only the write-offs required to be made to date. Surely he could not have 'discovered' such a large potential liability only a day or two after he was replaced as the Chairman of Tata Sons. Therefore, he must have been aware of this potential large provision much earlier but did not disclose it. It presumably relates to possible future provisions to be made (with no firm basis) but only his own expectation, i.e. a forward-looking statement which is normally not permissible due to its uncertainty. It also suggests that he had no intention of or given up any attempt to revive the value of these companies. It is unfortunate that the BSE/NSE have asked the companies to explain this statement and not Mr. Mistry as the author of this statement. b) On the same point, it has been widely reported that this statement of potential write-downs of this magnitude has been largely responsible for the loss in the total market value of these five or six companies of an amount of over ₹25,000 crores and all the shareholders would naturally be unhappy at this loss in their own value for no fault of theirs but mainly due to this shocking and sudden statement on the part of the Chairman of these companies which may or may not have been shared with the Board and certainly not publicly disclosed earlier. Here again, it is unfortunate that the shareholders and regulatory authorities would put the onus on the companies and not Mr. Mistry as the author of the statement for being responsible for this large loss in market value. As a group, we are committed to upholding the highest standards of ethics and value systems which the founders and the subsequent leaders have always strived to uphold. It is the spirit of the employees which has made the group what it is today and we are committed to resolving the current situation by doing whatever it takes and in a manner that ensures the protection of interests of all stakeholders of the Tata group.